Change; not even the quarter, nickel, or dime type was appreciated in our house. I don’t remember ever seeing a spare coin atop a table or amid the dross in the back hall drawer where everything that didn’t have a place ended up. No jar sequestered on a corner of a bureau collected dust and pennies. The thin dimes the tooth fairy brought, once discovered and delighted over, were promptly deposited in our sterling silver piggy banks; each with initials engraved in script. It was as if change didn’t exist. I wonder if coins in a pocket would have been eschewed if they had been called anything else. My mother, Virginia Stuart Mackey, understood her biological duty was to nurture us children. She found the job difficult. 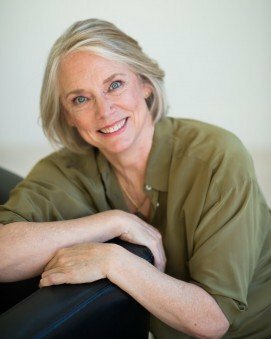 Tall, angular, pale, and blonde, my mother spit my brother, sisters, and me out in her image, and then proceeded to whirl about our lives like an icy comet in an orbit rarely intersecting our own. Our maid, Ethel, would puff up with pride whenever she said, “Miz Ginny done made a good-looking bunch of chil’ren.” I guess she was right. Each of us had our mother’s hair and blue eyes, although in varying shades. Not one of us had exactly the same color hair or eyes; but there was no question who our mother was. We each, in our own way, had something of her looks. Soft and round, Ethel was the color of coffee with cream, with big freckles dotting her broad nose. Her wide set eyes were light brown, and her lips were thin. Short, just over five feet tall; she weighed well over two hundred pounds. I grew up thinking that Ethel and my mother were as close as any two friends could be, despite the fact that it was 1957. Even to a child that seemed unbelievable considering they were so different in color, shape, and attitude. Friendship had to be next to impossible: in Virginia it was against the law for a colored person to drink from the same water fountain as a white. Yet, for as long as I could remember, thirteen hours a day, six and a half days a week, my mother and Ethel shared their lives. Well, that’s not quite true. My mother shared her life. Ethel listened and edited her own life. And despite their disparate worlds, their views were remarkably similar; their thoughts intertwined like neglected perennials in an old flower bed. Each of us children was named for somebody else. My sister Stuart was the oldest and the prettiest, she’d just turned fourteen. She hated her name, though I don’t know if that was because it sounded like a boy’s name or because it was my mother’s maiden name. Next oldest to Stuart was my brother, Gordy, just nine at the time. Gordy was named after my mother’s brother, Gordon Stuart. Then there was me, Sallee; seven and named after Daddy’s father, Sallee. It was an unusual and unfortunate name for a man as far as I was concerned. I was happy to be a girl. Helen, at just four and a half, was the baby of the family and was named for my father’s mother who died days before Helen was born. It was lucky that Helen was a girl; I think my parents would’ve gone right ahead with the name even if the baby had been a boy. I can’t imagine a boy on earth who would have been able to tolerate Helen as a name. The house we lived in was big like a mansion of the old South: butter-colored stucco with enormous fluted columns and dark green almost black shutters on the floor-to-ceiling windows in the front. It sat in one of the treelined neighborhoods that rimmed the University of Virginia where my father had gone to law school. It was the prettiest house on the street. My mother said that if it hadn’t been she would never have allowed Daddy to buy it because of the tacky houses that ran down one side of the property line. “Not charming like slave quarters,” she’d say to most any visitor. “Just tacky post–First World War housing.” I didn’t know why she thought slave quarters were so charming. The ones I’d seen had been nothing but old, rotting, weed choked, falling down sheds. She definitely wouldn’t have wanted those right next door. I think the thing she hated most about those houses was their proximity. When our kitchen door was open, you could hear the neighbors talking; the houses were that close. So unless it felt like it was a million degrees inside, she always insisted that our kitchen door stay closed. 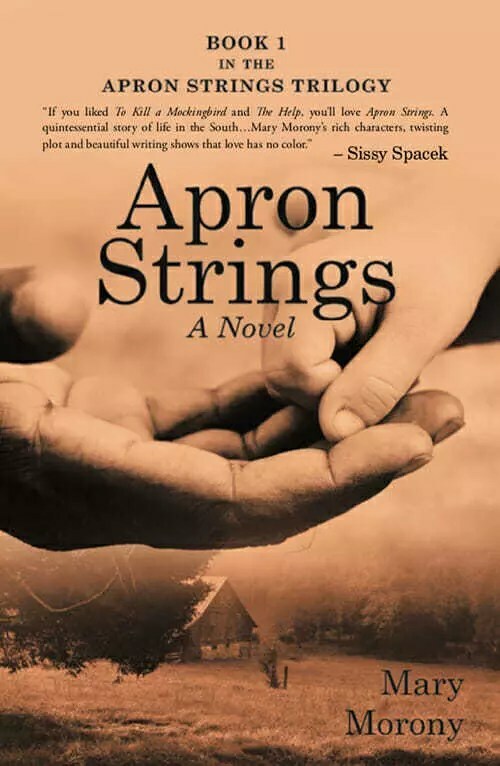 Enter your email address below to download Chapter One of Apron Strings in it’s entirety. I will email you the first chapter ASAP!